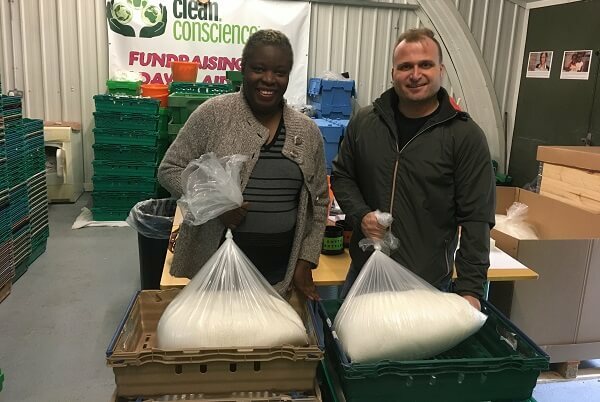 In striving to do all we can to keep plastic out of landfill and the oceans, Out of Eden is working in partnership with Maidenhead-based charity and social enterprise CleanConscience to develop a scheme by which the travel-size toiletries you offer – i.e. one of the biggest contributors to single-use plastic waste in the hospitality industry – can be disposed of in a safe and sustainable way. With an astonishing 200 million travel-size toiletries and 70 million hard soaps being wasted each year, we believe it is our responsibility as suppliers to source a solution that is easily accessible for our customers. Founded in 2015 by Gwen Powell, CleanConscience was born from the growing awareness of the detrimental impact single-use plastic has on the environment, particularly in the hospitality industry. Instead of sending the contents to landfill, CleanConscience offers an alternative, by repurposing, reusing and redistributing the contents and bottles themselves in ways that benefit the wider community tenfold. The liquid contents are turned into CareKits, sent to those most in need of toiletries, such as women’s shelters and refugee camps. The hard soaps are sent abroad to allow people overseas to generate an income. The plastic lids, bottles, tubes and caps are then incinerated, and the energy is returned back to the grid. With over 14 tonnes of the same polymer required to recycle efficiently, incinerating the contents offers a financially and economically sustainable alternative to recycling or going to landfill. CleanConscience also creates volunteering opportunities for individuals with a variety of special education needs and disabilities. The box is delivered to CleanConscience and any liquid or part-used soap is reprocessed and put to great use. Empty bottles and tubes are then incinerated and used to create energy. Although not a perfect solution; it keeps plastic out of landfill or the oceans, and the incineration at clean burning and efficient power stations provides a new source of energy. See www.cleanconscience.org.uk for more details regarding the incineration process. 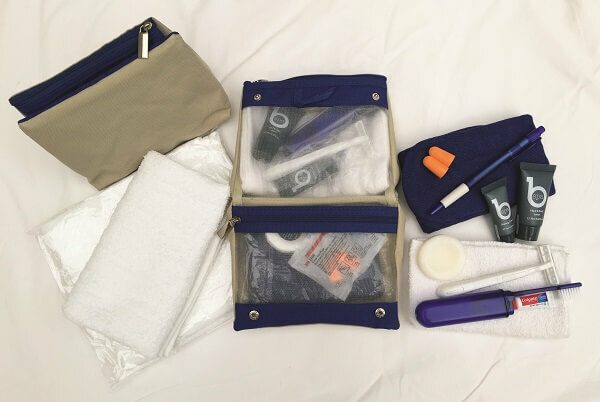 The scheme gives you, our customers, the opportunity to play your part in minimising the hospitality industry’s huge contribution to plastic pollution, while still offering your guests the travel-size toiletries and soaps they enjoy. As an added benefit and reward for your involvement in the scheme, you will receive official framed certification of your membership which you can display in your business, as well as using the CleanConscience logo on your website to promote your involvement with such a great cause. There is a one-off registration fee of £40 payable by you to CleanConscience to support their great work in the beginning as they are a charity. The maximum number of rooms for a single establishment to have in order to take part in the scheme is 30 OR, the maximum number of hotels in a group is 5, with no more than 50 rooms across the group. Outstanding credits earned on the scheme must be used against future purchases by November 30th 2019 otherwise they may be lost. Credits will not in any circumstance be paid out in cash.